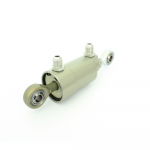 The universal shift cylinder has a stroke of 50mm with two 8mm uniballs. The cylinder can be used up to 10 bar. With a maximum.. 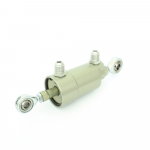 The short shift cylinder has a stroke of 25mm with two 8mm uniballs. The cylinder can be used up to 11 bar. With a maximum.. 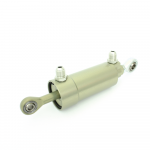 The universal shift cylinder has a stroke of 50mm with one 8mm uniball and one 6mm uniball (rod side). The cylinder can be used up.. 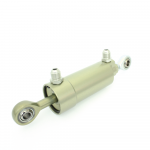 The short shift cylinder has a stroke of 25mm with one 8mm uniball and one 6mm uniball. The cylinder can be used up to 11.. 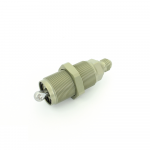 The in-line blip cylinder has a stroke of 20 mm, and will return in position by an internal spring. The housing has an outside thread..